This was posted 6 months 5 days ago, and might be an out-dated deal. 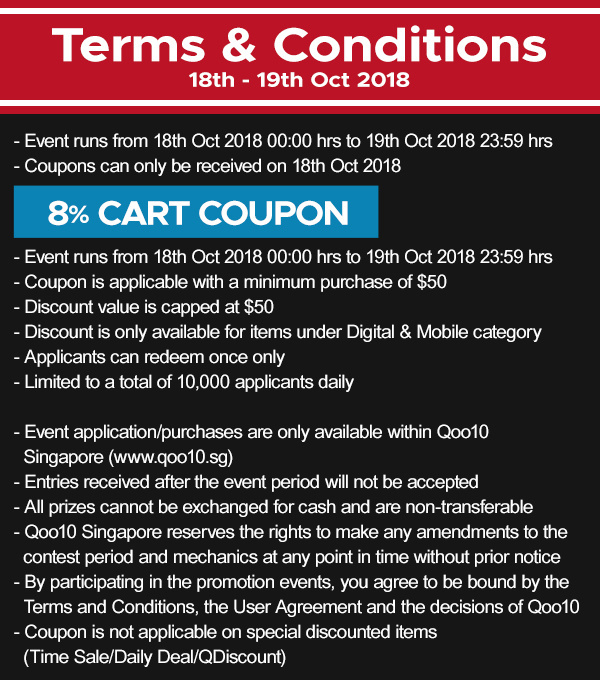 New Qoo10 cart coupon - receive 8% off electronics (items in the digital and mobile category). Discount is capped at $50.